Do your plans for spring break in McCall Idaho include looking for a new home or property? Well, you’re in luck! Spring is an excellent time to buy a home or new property in McCall! This is the season that the real estate market starts to heat up, and you’ll find more homes and land for sale then you did just a month or two ago. In order to maximize your house hunting over spring break in McCall Idaho, here are some tips you might want to consider. It always bears repeating – before you begin your home search in earnest, you should get pre-approved for a mortgage. Now that the real estate market is gaining steam, there will be more buyers competing for the same homes. And come April, property listings are expected to multiply and really bloom in McCall. When you get pre-approved for a mortgage, you signal to a seller that you are serious about buying. Not only does it help you get all your financial ducks in a row, it gives you a leg up over the competition. 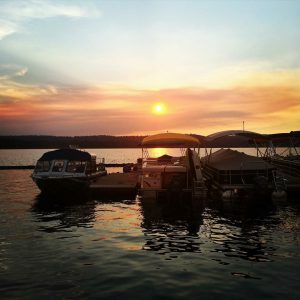 There’s nothing like seeing a neighborhood in person, which is why it’s so great to use your time off over spring break in McCall Idaho to search for a new property! But keep in mind you won’t have unlimited time, and you’ll want to use it wisely. Gather as much information as you can online before visiting a potential new neighborhood. The City of McCall’s GIS Map is a useful tool when visualizing the area of your potential new property. If you venture outside the city limits, you may want to utilize the Valley County GIS Map. You may want to research other valuable data including crime rates, school reviews, and distance to public transportation, shopping and other amenities. You may be interested to learn that Valley County holds one of the highest health rankings in the state of Idaho. When you do this research before you arrive, you’ll be able to narrow down which homes are real contenders, and which ones you can mark off your list. Another way to make the best use of your time is to decide what you’re looking for in a home before you see them in person. Sit down and make a list of what you need, what you want, and what you wish for. Understand your priorities and make an agreement with your spouse or significant other about what aspects of a home are most important to you. How many bedrooms do you need? Do you want to be in the city or suburbs? Is a pool a must-have or a would-be-nice-to-have item? Make sure to plan some down time to have fun and explore the local area during your spring break real estate search in McCall Idaho. Visit any local store or the McCall Chamber of Commerce to find out what some of the great places are in town, and set aside a day to check them out. Visit a local park (Ponderosa State Park is a favorite), grab lunch at a popular restaurant (The Pancake House is a great choice), soak at one of our many local hot springs, or enjoy dinner and a movie at the famous Shore Lodge. Give the kids and yourself a reason to get excited about your new home and town! Lastly, make the most of your home search by working with a trusted agent who is an expert in the local real estate market. Our agents here at McCall Real Estate are seasoned locals and are eager to help you find your new dream home. We welcome you to Contact Us and one of our agents would be happy to begin scheduling appointments for you.